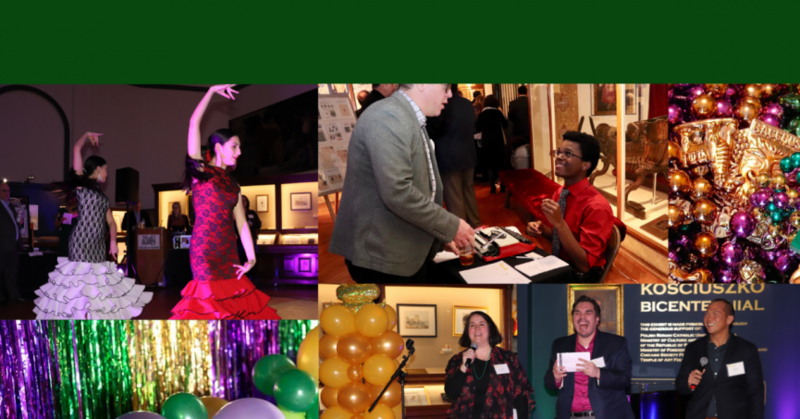 Organized by ChiArts’ Parent Support Organization (PSO), ChiArti Gras is an annual fundraising event supporting the school’s tuition-free arts programming in a fun, accessible environment. Parents, guardians, community members, and stakeholders are invited to join us for a night celebrating the talents of ChiArts’ Scholar Artists with student performances held throughout the evening. We are pleased to announce that ChiArti Gras 2019 will be held at the National Museum of Mexican Art in the Pilsen neighborhood! As always, the evening will feature performances by ChiArts’ incredibly talented students. NEW THIS YEAR – there will be carnival games to play! Help support ChiArts’ tuition-free arts programming by playing a game to win a prize, bidding on silent auction items, or raising your paddle at the live auction. In addition to the student performances, guests will enjoy passed hors d’oeuvres, complimentary alcoholic beverages, and DANCING with music provided by a DJ! ONLINE TICKET SALES HAVE ENDED – BUT TICKETS CAN BE PURCHASED AT THE DOOR! Tickets cost $60 per person.